After taking the time to carefully plan how a Nevada resident’s assets are to be distributed upon death, it would be a shame for surviving family members to be missing vital information. Estate planning does not necessarily stop once the documents are signed. It is essential to ensure that as much information as possible is readily available upon death. Furthermore, other steps can be taken to ease the burden on family members during what is already a difficult time. A Nevada resident might be aware of the location of all of his or her property, but that does not mean that family members will easily locate everything after death. An individual should create a detailed list of assets and put it where it can be found. Most people have digital assets these days, and they need to be included in this list also. It might also be helpful for a list of family members, friends and other important people in a person’s life to be made as well. Further, if a person decides to make his or her funeral and burial arrangements ahead of time, all of the relevant information needs to be accessible. It is often recommended that all of this information be stored with estate-planning documents. A trusted individual will then need to know where everything is kept. 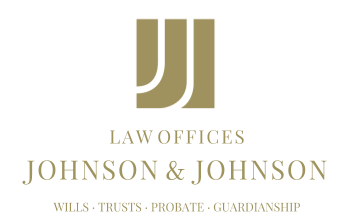 One of the main goals of estate planning for many people is to make sure that their wishes with regard to the distribution of their property are followed upon death. However, an estate plan could fall short of this goal if assets cannot be easily located. Providing those left behind with a road map can provide the peace of mind that nothing will slip through the cracks.